Daniel Beilschmidt was born in Zeulenroda in Thueringen (Germany) in 1978. 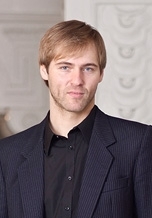 He studied organ with Stefan Johannes Bleicher, Arvid Gast, Ullrich Böhme, Volker Bräutigam, Hans Fagius, Søren Christian Vestergaard, Michael Kapsner and Bernhard Klapprott in Leipzig, Copenhagen and Weimar, graduating with his „Konzertexamen“ in 2008. In 2009 he was assigned as University Organist in Leipzig. From 2009-2015 he was assistant organist at St. Thomas (the church, where Bach had worked from 1723 to 1750). 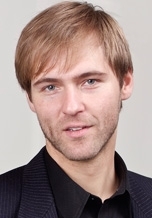 Since 2015 he is teacher for both organ playing and improvisation at the ‚Hochschule für Musik und Theater „Felix Mendelssohn Bartholdy“ Leipzig‘. In 2017 the New University Church, St. Pauls in Leipzig, was inaugurated, where Daniel has the privilege to work with two new organs (Metzler, II/P, 7 and Jehmlich, III/P, 46). Except in Germany he has played recitals in Scandinavia, Belgium, Spain, Poland, Russia, Georgia, Ucraine, Argentina, Mexico and the United States. He dedicades to the whole repertoire from earliest organ music sources to music from the 21st century, focussing especially on Renaissance organ music, Bach, Messiaen and improvisation. Besides improvisation in liturgical context he has been working in various projects and collaborations, as with percussion, electronics, literature, dance theatre, free jazz and crossover, i.e. with double bass player Barry Guy, drummer Günter “Baby” Sommer, mexican group “Ampersan”, Eva Milner from “Hundreds” or the former experimental Leipzig band “Mud Mahaka”. Beilschmidt is also active as composer, right now preparing the premiere of “Deine Nacht”, a Passion after St. John with the GewandhausChor in the New Univerity Church Leipzig in March 2020. For download please click at the pictures or the PDF.